It’s been a busy week and as well as Helensburgh 10k, Wednesday evening saw racing at the popular Troon Tortoises 10k and at Dumyat Hill Race. 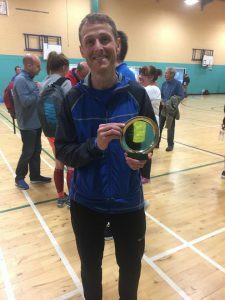 We were delighted to see Paddy Gibbons smash his PB at Troon Tortoises 10k, his hard training over winter having paid off. Fast forward to the weekend, and it was time to ‘Go Long’ at Edinburgh to North Berwick 20M and Kintyre Way Ultra and ‘Go High’ at Scottish Junior Hill Champs. Ann White and Nicky Parker had their debuts at Ultra distance, with Ann taking a prize for the oldest competitor (66 years young), showing running really IS for ALL AGES! She’s an inspiration to us all! 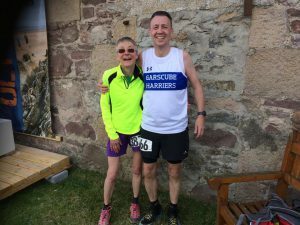 Over on the East Coast, Alison Wood, Barrie Johnston and David Lindsay ran the Edinburgh to North Berwick 20M RR . David, fresh from success at the London Marathon, finished in 2nd place in 2:02:30. In the hills of Fife, we were delighted to hear James Connelly and Cody Stevenson won SCOTTISH SILVER medals in their categories at the Junior Hill Champs. Full results below.